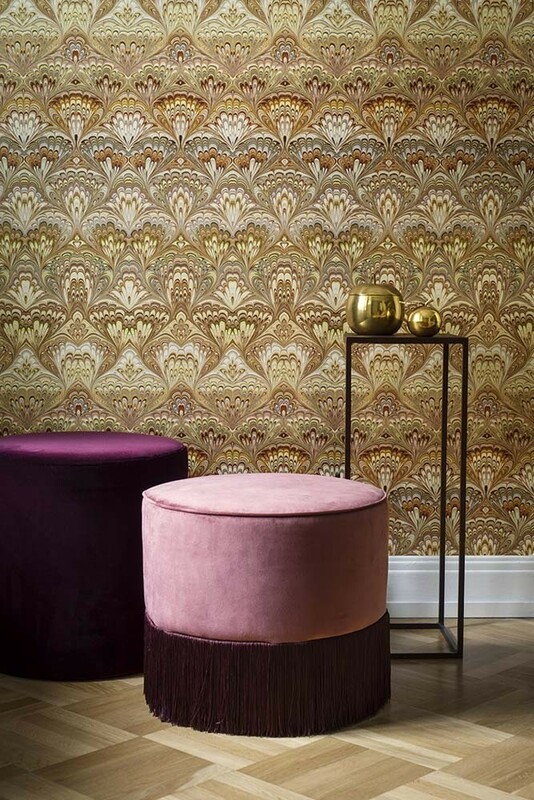 Taking inspiration from some of the world's most glamorous and design-conscious hotels, the Lounge Luxe collection offers stunningly beautiful wallpapers, capable of transforming the walls of your home. The designer has captured that unique ability of luxury hotels to please the senses at every opportunity with visible influences from the 1920s and 1960s, as well as the natural world. 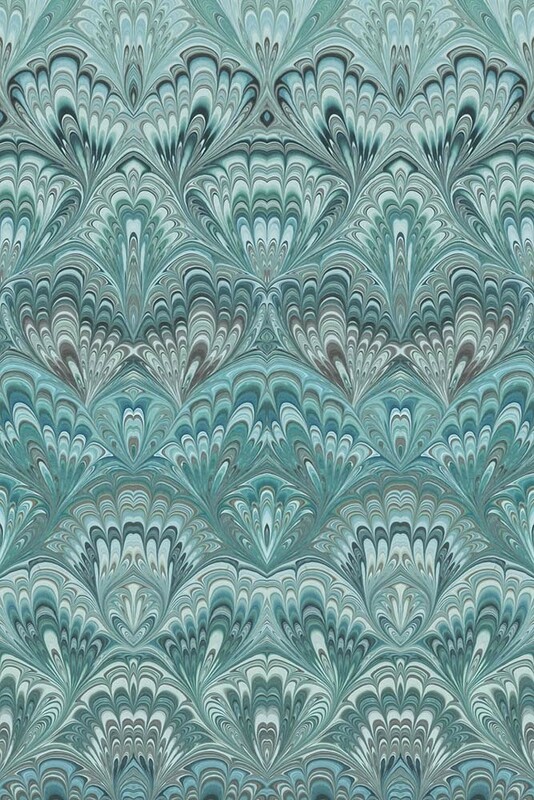 Inspired by the exquisitely modelled interiors of vintage hotels, our Shangri La wallpaper in aqua blue has all the alluring beauty of a peacock’s tail captured in its glorious and vibrant tones. 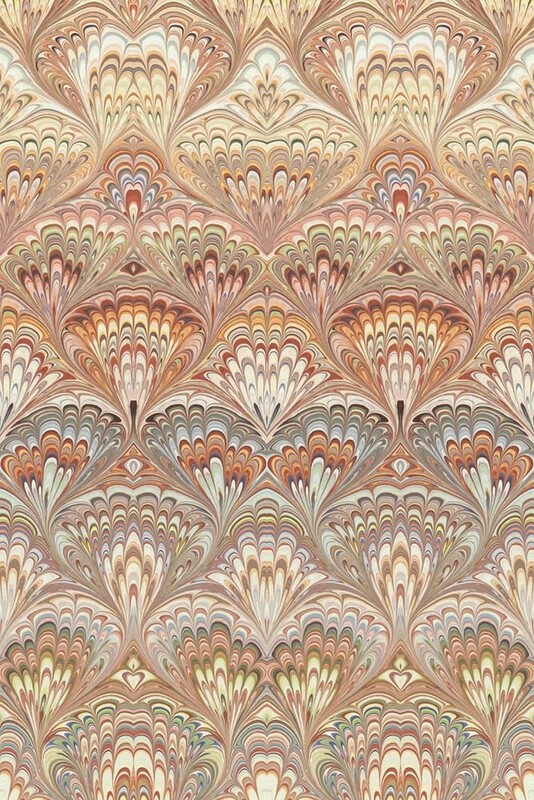 Its subtle shimmer creates a truly beautiful silk-like appearance, with mother of pearl flakes delicately set into this hypnotising pattern to add a richly decadent glow. Available in two equally lovely colour schemes, Shangri La is a fabulous choice for anyone wanting to put a truly individual stamp on their interior styling.